Welcome to Adventure Foot, TV Viewers! Thanks to KHQA TV 7 for featuring Adeventure Foot on the Morning Show! The Adventure Foot Blog was featured this morning on the KHQA Morning Show at 6:45 am, so I’m posting this blog today as a big WELCOME to those checking out Adventure Foot for the first time! 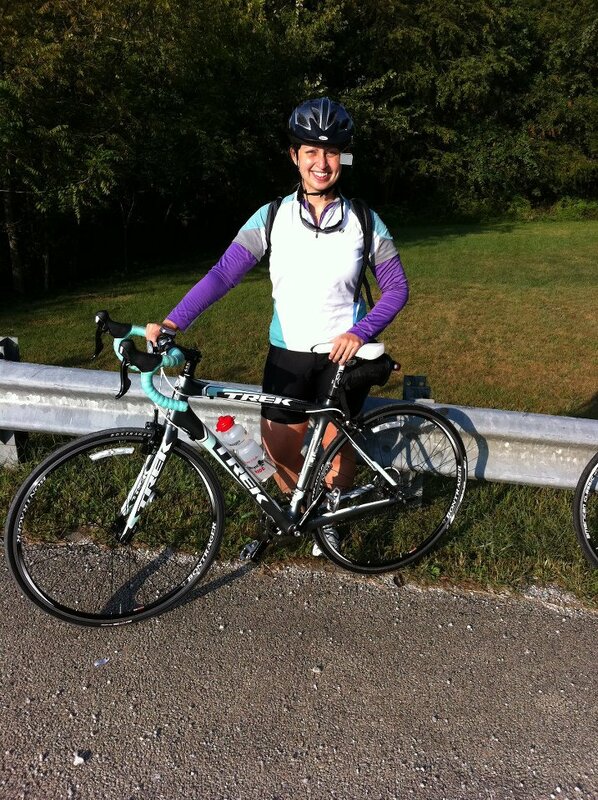 My bike and I at the Capital City Century- a 100 mile ride. You can read the whole history of Adventure Foot by clicking here, but if there’s one thing I could tell you about why this blog exists- it’s to help you have an adventure! 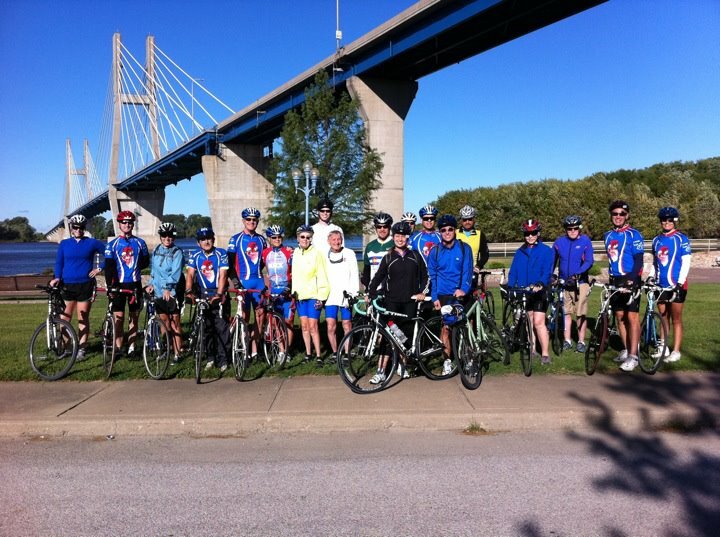 There are so many ways to get active in the Tri-State area, and this blog is dedicated to helping to shine a light on events, clubs and games that you can get involved in. The best way to navigate my blog is to click on the Category link in the right hand side of the page. Click on your favorite topic and find all the blogs I’ve written related to it! Also, you can see a listing for “Recent Posts” there on the right hand side of the page, so you can catch up on what’s been going on lately. Don’t miss the Adventure Foot Photo Gallery, Guest Blogger page or the Events Calendar which are all listed at the top of your screen. If you’re looking for a specific topic, you can also go to the search bar and enter terms you’d like to read about. To keep in touch with Adventure Foot, to share your own pictures, or to add events to my calendar listing, please visit the Adventure Foot Facebook page and click Like! Also, I love to read your comments, and there is a section below every article for you to share your thoughts. There are also convenient buttons for Facebook, Twitter and Google+ below the article, which makes sharing stories with your friends super easy. Top 5 Ways to Follow Your ADVENTURE FOOT in Quincy this Spring and Summer! It’s no secret that I am always on my bicycle these days, but if it weren’t for the QBC, my bike might still be sitting in my garage gathering dust. The QBC offers scheduled rides almost every day of the week. Each different ride is targeted for different levels of experience and ability. If you’re looking to try out a ride for the first time, I suggest joining in with the Pedal Pushers group on Thursday nights. The group leaves Reservoir Park at 6 pm, and the pace is nice and slow so that everyone can participate. Yearly membership to the QBC is only $10 per year for an individual or $17 for a family. 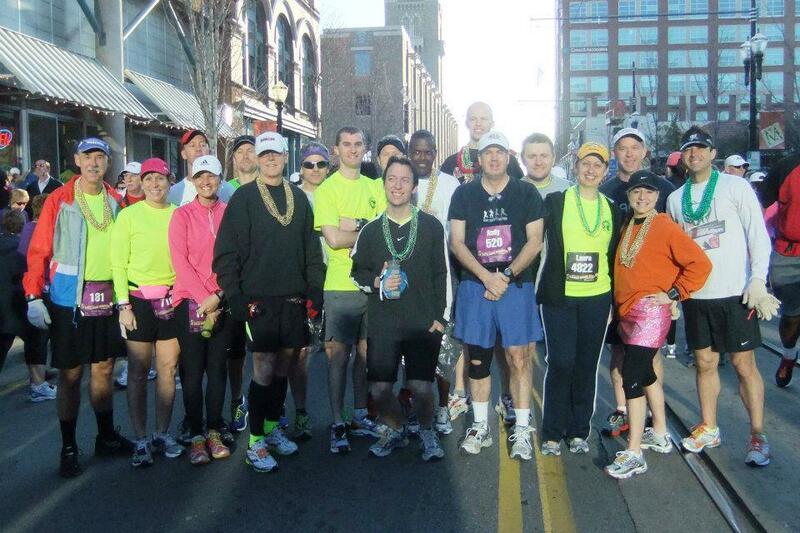 Whether you want to walk to increase your fitness or train for a 26.2 mile marathon (or more! ), the HRRWC is one club you have to experience. 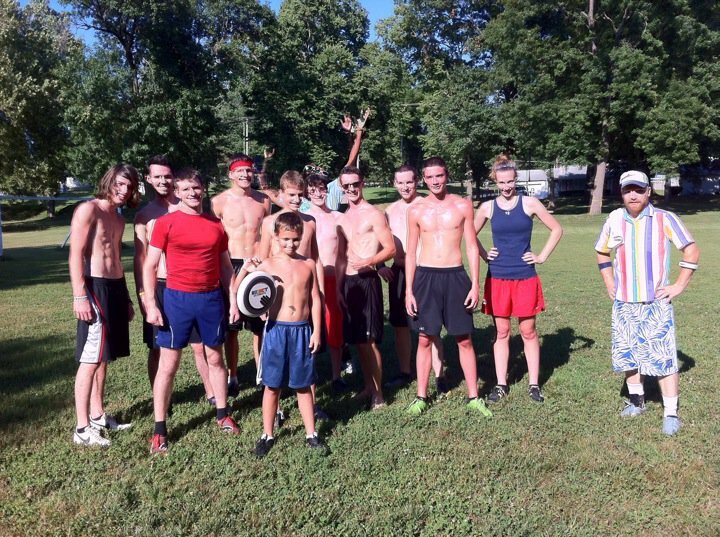 It’s full of some of the most positive and upbeat people I’ve ever met, and you’ll find that any walking or running regimen is much more fun with a group like this. I trained with HRRWC all winter and successfully completed my first half marathon last month, and I can tell you first hand that the support of the group made all the difference. My first day, I couldn’t run two blocks but 6 months later, I ran 13.1 miles. ‘Nuff said! Membership is $15 per person for a year or $25 for a family. 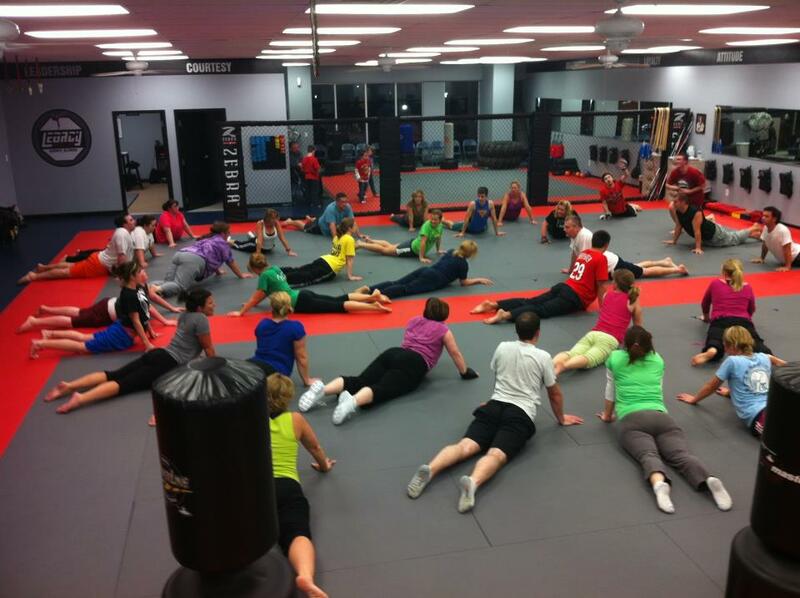 Legacy Martial Arts– Read about FIT Class at Legacy here. Also, mention that you read about Legacy on the Adventure Foot blog, and receive 1 FREE week to try out FIT, Mixed Martial Arts, Zumba or Traditional Martial Arts classes (new clients only). You’ll love the facility and the infectious high-energy workouts that Robert Bentley and his staff provide! The Kroc Center- The Kroc has got all your fitness classes in one place, but the adventure that my foot likes the very best has to be the kRock Wall. Read more here! Ladies- make sure you ask about “Ladies Night Up,” where ladies can try out the wall for free! NuFit For You– I absolutely love the classes offered by NuFit for You, which has facilities on 48th and Broadway and at Quincy University and will soon be opening a facility in downtown Quincy near the Quincy Medical Group. My favorite NuFit Classes include CycleLates, IndoRow, and Power Cycle. Don’t be intimdated to go and try any of these classes out. The staff at NuFit is well-trained and will help you get started no matter what your beginning fitness level is. Nothing puts fitness front of mind better than having a goal! Check out the Events Calendar for a list of upcoming events in the area that you can register for. For beginners, I highly recommend the HOPE 5K in Palmyra, MO on April 14th (you can run or walk this event) and the Bridge the Gap to Health race on May 12th, which has walking or running 5K or 10Ks, and a Half Marathon, as well as a new rowing event this year. 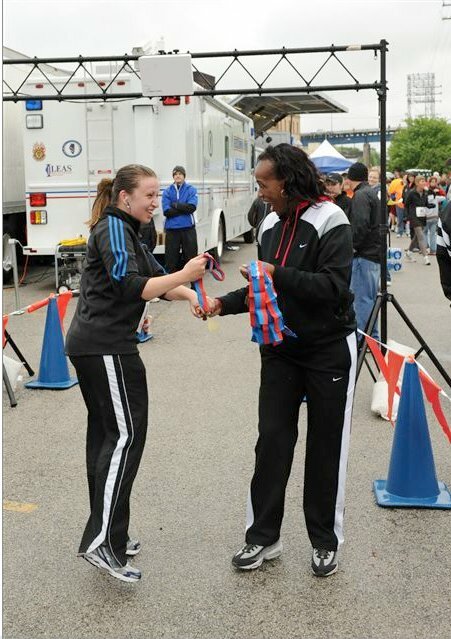 Read about my experience with my very first 5K at Bridge the Gap 2011 by clicking here!